Note: this is a slightly longer blogpost than normal. But it’s a good ‘un. Enjoy! Before Christmas I met up with Richard Sanderson, boss of the prolific but exquisitely curated net label Linear Obsessional. He gave me the lowdown on the mechanics of running his operation and took me through few of the releases in the catalogue. 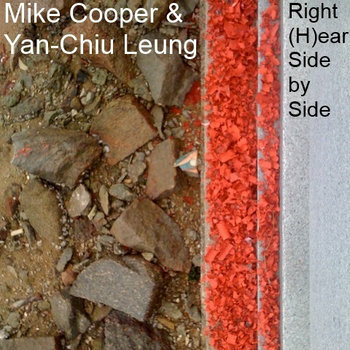 The label first came to my attention when Mike Cooper’s beguiling collaboration with the Chinese Sheng player Yan-Chiu Leung, Right (H​)​ear Side by Side, showed up on the Facebook feed of one of my musical contacts in Hong Kong. 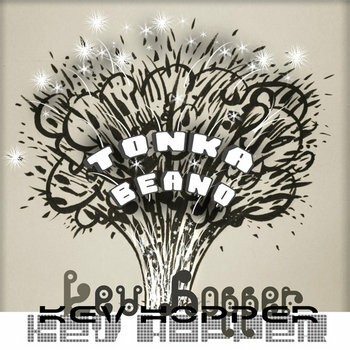 I was astonished that someone would give away an album this good for free – all Linear Obsessional releases are free or pay what you like to download, and many have CDR versions you can get your hands on for relatively small beer. But my brain was also subtly melted by the variety and quality of the other releases in the label’s catalogue. Free improvisation, quirky electronics, forgotten post-punk gems and a concept album about mushrooms, all available from a single site. The uniformly high hit rate of the releases is down to Sanderson’s good taste, honed from years working in the experimental music scene. A musician – guitar, electronics and now melodeon – as well as a one time promoter of the Club Room free improv club in London and member of the London Musicians Collective (LMC), he has unerring judgement about what makes a Linear Obsessional release worth having. Just after this interview took place, Sanderson released Air Buttons, a set of melodeon improvisations, some processed and some not. The pieces are strikingly austere and evocative, ranging from a kind of minimalist wheezing redolent of some ancient wind instrument (‘Keening’) to a cloud of shimmering, pulsing drones (‘Stalactite’). 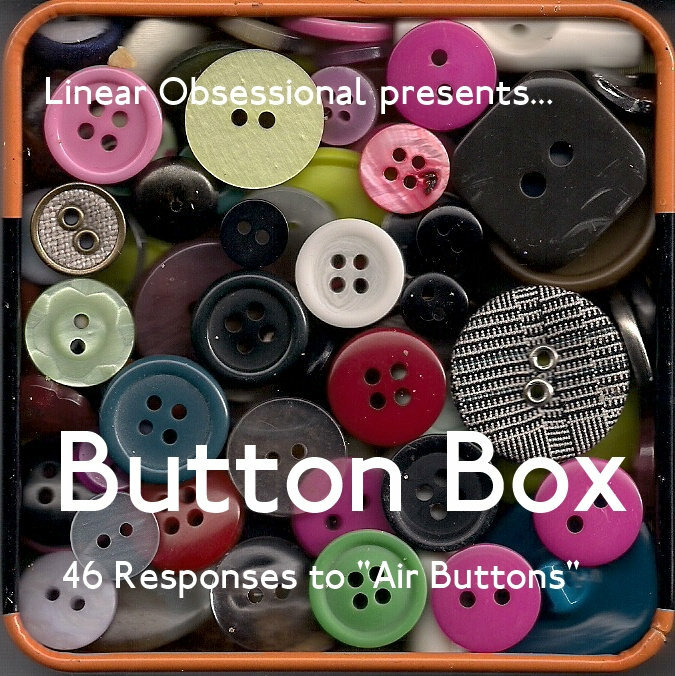 A companion piece, Button Box, sees the Air Button pieces remixed and reconfigured by a whole bunch of musicians, improvisers and sound artists. The only brief was that each piece was to be just two minutes in length. Both albums are fine additions to the Linear Obsessional catalogue. But don’t dally because there are more releases coming. Sanderson recently announced, via the Linear Obsessional Facebook page, the simultaneous release of two 3-inch EPs, ‘Habitats for Metal Plants’ by Chris Whitehead and ‘The Prejudices of History’ by Mark Browne. So, have a read of the interview, and if you like what you see, head on over to the Linear Obsessional site, part with some of your hard earned cash and bask in the experimental goodies on offer. We Need No Swords: How did you come to start Linear Obsessional? Richard Sanderson: I’d wanted to run a label for a long time. I became aware of this underground and unwritten about area of net labels, with their idea of releasing stuff for free, and the idea of Creative Commons. I became quite fascinated and thought ‘I fancy having a go at this’. I did a lot of research and then I thought I’d have a go. RS: …and there’s no real way of negotiating it because hardly anyone can be bothered to review it. Anyway, I started Linear Obsessional, and did about 30 releases in the first . The next year I thought I’d do physical releases too. There were a number of reasons for that. I’ve never liked MP3s very much, I think they’re grotty. I don’t think you should pay for MP3s. I think that if you pay for something you should have something solid, a tangible object. So I decided to keep the pay what you want approach to downloads – and some people paid nothing which was fine – but supplement that by doing physical copies and see whether that worked. It seems to have worked and I have actually even made a tiny bit of money from it. WNNS: Are people willing to pay? RS: Definitely, especially if its something unique, they’re limited and people can see some effort has been made, it’s not just a CDR in a jewel box. With these releases I went out of my way to find packaging that I liked and was interesting. I try to put something in the box that’s vaguely related to the release. 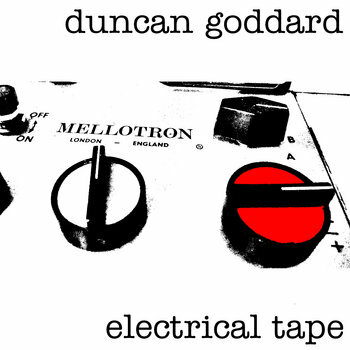 So Duncan’s album had a bit of genuine Mellotron tape in it – he sent me a whole bagful of Mellotron tapes which I could use! I also create PDF booklets for each release, which comes with the download. That was an idea I stole from a friend of mine, the violinist Jérôme Poirier. On his net label, every release had this lovely PDF booklet. I thought they were so good, so every release I do has one of these. It just brings it up a little higher, so that it’s more than just a bundle of MP3s. WNNS: How did you decide what to put out in that first feverish year of activity? What kind of curatorial approach did you take? RS: My first step was just to sound out a few friends and ask them if they’d be interested when they had some music to put out. Surprisingly almost everyone I asked said yes straight way! There was one person who was a bit unhappy about the fact we were going to be giving it away, but most people were quite happy about it. I also did say, well announced really, that I was doing music and that anyone who was interested should send me stuff. I got quite a few things early on, some of which were terrible! So I didn’t put them out. RS: Oh yes, on the website I state everything that I’m interested in. So, I say I like music of extraordinary density, but I also like music with a lot of space. It’s easier to say the music I don’t like really, I don’t like rock music, or music with beats in it, or dance music as such. But I’m also happy to break my own rules! I like music that has a singleness of purpose, I like people to be going in a straight line with their music, in a concerted way. That’s where the name came from, Linear Obsessional, the idea that you’re working away in a single direction. 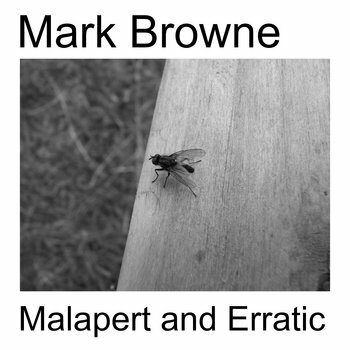 Mark Browne’s album, Malapert and Erratic, is a fantastic example of that. He had the idea of making just one track with all these different instruments and recording them all in one day. He got field recordings in, a wonderful guitar piece with an amazing sleeve notes. I thought, I’ve got to have that! WNNS: Is that what you mean by density, a kind of layered approach? RS: Yes, well I like something that takes a little bit of effort to listen to. I’m also interested in song form. I’m very interested in traditional music but I‘ve only had one person come to me with any sort of traditional music, in fact I approached them. It’s Swedish traditional music actually, its still in the process of being done. WNNS: What was your first release? 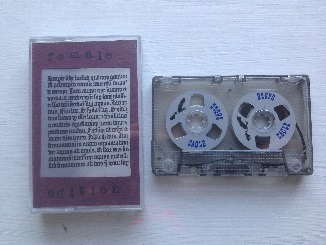 RS: It was a duo recording, of me and a Scottish sound artist called Skitter, called Tone Chambers. He has a melodeon, which is also my instrument. We both made recordings of our melodeons, both treated it and then I sent it to him for the final mix, which was a 25 minute noise piece. WNNS: That was just digital? WNNS: What was the first physical release? 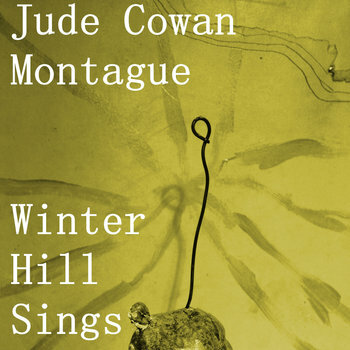 RS: It was Jude Cowan Montague’s album, Winter Hill Sings. It was a collection of vocal works, songs really. It sold out straight away. WNNS: Why was it so popular? RS: I don’t know, other than it was very good! I didn’t do many physical copies, to be honest. I suppose I was testing the water. I didn’t want to do a lot and see none of them go at all. WNNS: How challenging were the logistics of making this material available? RS: Really easy. It doesn’t take long. I put everything on Bandcamp, but also on archive.org, the Internet Archive, which a lot of net labels use. You can’t charge anything for that but the amount of downloads you get is astonishing. So Viv Corringham’s album had about 20 downloads on Bandcamp, but it was approaching 200 downloads already on archive.org [in the first couple of weeks after its release]. So there’s this mysterious audience, but you can’t tell where they’re coming from, you just get the figures. WNNS: So you had a first year of feverish activity, and now you’ve started doing physical releases as well. How do you see it developing in the future? WNNS: Do you have much communication with your audience, or your buyers? RS: Very little! I just throw stuff out there. I have some people that buy everything I do, and they’re great, they’re my ideal really because they trust my judgement. enough to think that’s it going to be worth getting straight away. WNNS: You said at the start of the conversation that net labels are invisible, that they don’t get reviewed. Why do you think that is? Is it because there’s too much out there? RS: Yes. Nobody can be bothered to wade through it all, there’s so much out there. I can’t either, to be honest. There’s a guy in America, called David Nemeth, he’s said he won’t buy music any more, he’s going to go through the free stuff and see if its any good. He’s a great filter, and he’s a great supporter of what I do. RS: But then net labels are their own enemy because too many just throw things out there willy nilly, I really think they could spend some time doing something a bit more impressive. I’ve always wanted to get my stuff out there, I’ve always wanted people to listen to it, to almost put stuff out that’s on the edge of commercial, to get some attention for it. WNNS: What is your most popular or best selling or most downloaded releases? 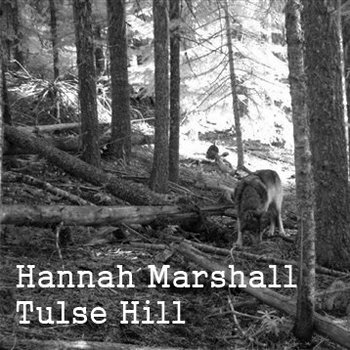 RS: The most downloaded by far has been Hannah Marshall’s album of solo cello improvisations. It got really good reviews on some sites in the net label community. That was free, and has had over a thousand downloads on archive.org. WNNS: Why do you think it was so popular? RS: Maybe Hannah’s done a good job of publicising it, and its good album. It’s quite accessible too, it’s loops with acoustic cello playing over the top of it. And Hannah is a lovely person and popular other musicians as well. But I’m at a loss to know why this one had so many [downloads]. WNNS: What’s the weirdest thing you’ve put out? RS: I first heard of Viv when she did a programme on Resonance FM. It was perfectly timed for me to listen to on my journey home from work. So I wrote to her and said are you ever going to put any of it out? I think she put some out on a CD about 10 years ago, and I said, if you’re ever going to put any more of it out please bear me in mind. So Viv replied and said I’m coming to London so I’ll do some recordings and send them to you. And I was bowled over by what she sent me! RS: It’s absolutely fascinating because field recordists do their absolute utmost not put their fingerprints on their recordings, and Viv’s album is quite startling, someone just steps into the recording. It’s like a film maker suddenly stepping into the frame. Vocal improvisation is always a hard sell, it’s very personal. If you go to see someone like Phil Minton performing it, I always feel slightly uncomfortable. I love it, but there’s something about the voice is so physical and personal. It affects me in a strange way. WNNS: Any neglected gems in the catalogue? RS: I’m not sure about neglected, but I think Kev Hopper’s is a masterpiece. He’s currently in a band called Prescott, and he was the bass player in Stump, and he was also in a band called Ticklish for 10 years, which I was in too. Kev has these musical obsessions. It was musical saw for a while, then acoustic guitar and songwriting, and he does albums to express these things. One of the things he was into was this software called Reaktor, and he went much further than anyone else with it. He basically invented these virtual instruments, but he never really did anything with it. I said to him, why don’t you do an album of it, set these machines running and see what happens. I mean, I can’t pay anybody so I always feel it’s a bit of a cheek to ask them to do anything too strenuous! But then I’ve been surprised because people have often said they’ll do a new piece or something different. RS: Exactly, if I’ve invited someone to do something and they do it for me, even if I’m a bit uncomfortable with it – which thankfully hasn’t happened yet – I would still put it out, because I’ve invited them, and it’s their vision. But Kev’s album, I think is a masterpiece of electronic music. I’ve not heard anything like it. WNNS: Why is Creative Commons so important to you? RS: I really like the idea that music isn’t a finished product, that it can carry on living in other ways. So, with the exception of Kev’s album, anyone can download these albums and remix them or cut them up in any way, and then put then out yourself, as long as you give Linear Obsessional and the artist a credit. WNNS:Is that ever a hard sell to the artists? RS: Occasionally. I usually just them if its alright, and most of them say yes. RS: The Original Beekeepers were called just The Beekeepers, then they realised there was another band called The Beekeepers, so they renamed themselves The Original Beekeepers. I’d know them for years. They just put out tapes and little CDRs of wonderfully crafted pop songs. I thought, I’d love to put out some of their stuff, but then I thought, well, I don’t really do pop. Then I remembered they’d done this thing, they’d basically made this recording called Music for Barges, and they used to just leave them around for people to find. So I thought, I could just about squeeze that into my remit, because a lot of it is minimalist and repetitive, but there are some gorgeous pop songs. So I asked them if I could put it out. They leapt at the chance and told me they had some extra material recorded at the same time – about 20 minutes of it – and Steve Bynghall wrote some fantastic sleeve notes too. I was very proud of it. There were people baffled by it, because it was an early release, and I’d said I was going to be minimalist and no tunes and experimental and the fourth release was a pop record! 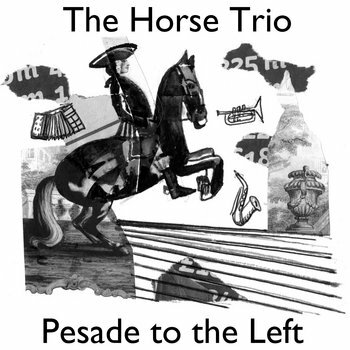 WNNS: Tell me about the Horse Trio. RS: It’s Hutch Demouilpied, who is a trumpeter, who comes from the jazz world and has been working with Eddie Prevost. Sue Lynch also came from the jazz world via Eddie, and is now in the Remote Viewers, who are a fantastic saxophone quartet. They do very angular, composed music. But they were thinking of getting an improv group together and they wanted an electronics player, so they asked me. I don’t really do electronics any more. I don’t like carrying loads of equipment around. I used to play toys, so I had a table full of toys, with contact mics. But it just got to such a pain, carrying boxes of stuff around, I just decided to move onto something else. I was interested in traditional music and I had started playing the squeezebox, with a few electronics, so we tried that out and had a few practices. Anyway, we got together in the Horse improv club in Waterloo, and we did our first couple of gigs there. I think it’s a really lovely trio, it’s kind of chamber music-ish, never particularly noisy, and we talk a lot about what we’re playing. WNNS: This one isn’t a download. RS: No. After a group discussion we decided we didn’t want to give it away for free, the only way you can get it is to buy the physical release. WNNS: Will there be more physical-only releases, now that you have an established audience? RS: Maybe, but I wouldn’t want to completely ditch the free downloads, because I think its interesting. But, as I said early, I like the physical objects. WNNS: Yet my kids don’t really understand that. They listen to everything via YouTube. RS: And its appalling quality! We’ve gone right back, from the 1970s, which you could say was the acme of sound quality, with good hi fi, good speakers, and now we have YouTube and MP3s that are worse than 78s on a wind up gramophone. RS: I must admit, it does trouble me, giving stuff away for free. Hannah [Marsh] has a thousand downloads and no money at all! So I made a decision about a year ago to make everything pay what you want, rather than just free. I also started doing the hard copies partly to give the musicians a percentage of the sales. I used to work for the Performing Rights Society, for about 10 years, so I understand the argument that you should respect the value of music. My other argument would be that a thousand people have now heard Hannah’s album who probably wouldn’t have heard it if it wasn’t free. Then maybe they’ll look at her website and see her other recordings..
At the moment, I just want make the hard copies really good so people really want them, and keep the downloads going. It would be good to have a self destructing MP3, so people can have them for two weeks and then they delete themselves! WNNS: What have you got coming up in 2014? RS: We have releases from Chris Whitehead and Mark Browne coming out very soon. We also have duo albums by Elizabeth Veldon and Jude Cowan Montague, from Adrian Northover and Tasos Stamou, and from Colin Webster and Graham Dunning. There are solo albums by electroacoustic vocalist Iris Garrelfs, Irish composer Daniel Figgis, Spanish phonographer and composer Juanjo Palacios, sound artist Paco Rossique and composer Sam Fendrich. For more all of the releases in the Linear Obsessional catalogue, see http://www.linearobsessional.org/. To keep up to date with what’s new on the label, see its Facebook page.